The Z-19E helicopter model was designed and manufactured by AVIC Harbin Aircraft Industry Group Co. Since its first flight in May 2017, Chinese sources have said it is intended for export, which may explain its production launch. 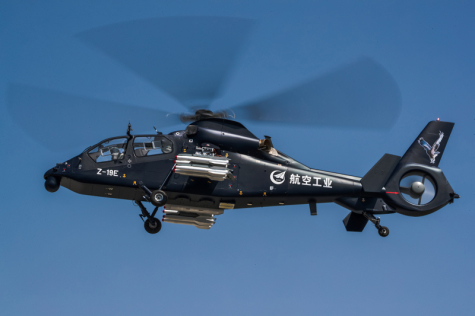 BEIJING --- The China-developed Z-19E armed light helicopter is expected to start batch production, according to its developer the Aviation Industry Corporation of China (AVIC) on Saturday. The Z-19E helicopter, which made a successful maiden flight in May last year, is light in weight. With a maximum take-off weight of 4.25 tonnes, it has apparent advantages in large effective payloads, cruising speed, ceiling and range.